Home / News / Sukumar to launch Vaishnav Tej? Sukumar to launch Vaishnav Tej? Is another young lad from Mega Family is being launched in Tollywood. Yes says sources, and looks like it's the turn of Vaishnav Tej, who is the younger brother of Supreme Hero Sai Dharam Tej. Looks like the young lad will also have a grand launch just like other mega family heroes. There has been buzz earlier that Srinivas Avasarala may launch Vaishnav Tej in Tollywood but looks like Buchi Babu Sana is set to don the director cap. 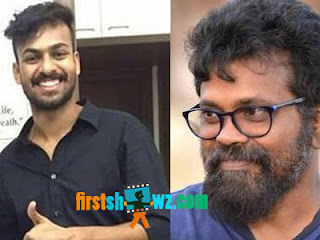 Buchi Babu Sana, who assisted Sukumar for several films will be launched as director and the new film will be jointly produced by Sukumar and Mythri Movie Makers. The team have called for casting of female lead and further mentioned that, age should be in between 18 to 24. So, young ladies who are interested can mail their profile, demo reels and intro videos to sukkumythri@gmail.com.